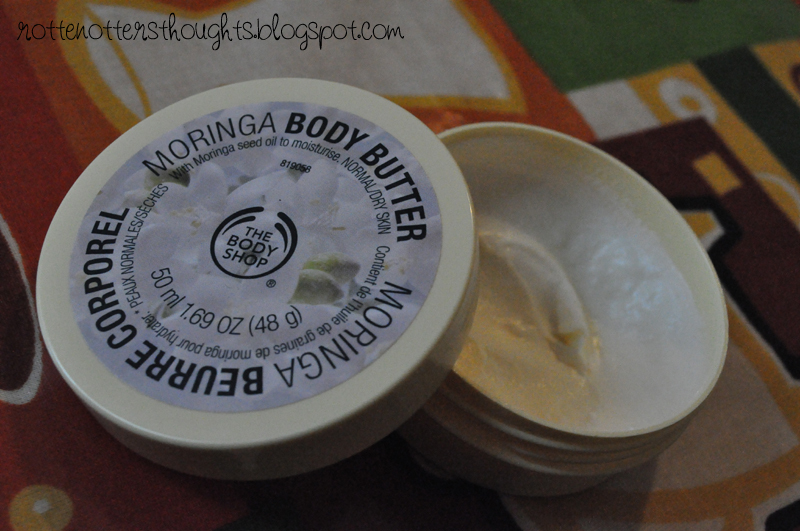 I’ve had this little tub of Moringa Body Butter sitting unloved for such a long time. I find body butters to be too heavy so instead of throwing it away I always try to find an alternative use. I’ve been using it as a foot cream instead which it’s perfect for. Despite it being too heavy for my body it soaks in effortlessly on my feet, gets rid of any dry bits and gives you lovely smooth skin. The Body Shop describes this as a”delicate floral fragrance”. Well it certainly isn’t delicate! It’s a really strong floral scent but once that I really like. When I bought this I also got a tub of body scrub in the same scent which I used up immediately but for some reason never repurchased. That must have been the early beauty blogger in me, always wanting to try new products. Do you like The Body Shops body butters?